450 pages | 13 B/W Illus. As all good handbooks, this one is a mine of information, including a host of references for following up the reading of any one of its chapters. More than that, many of its chapters, but especially its introduction and conclusion, contextualise their topics in theoretical debates in the sociological, anthropological and historical comparison of religions, wisely avoiding any attempts at authoritative definitions. But the best thing about it is the focus, beyond doctrines and philosophies, on religious practices be they internet puja, mother-goddess spirit possession, or the sacralisation of place. Religions in Asia presents a truly global combination of overviews and focused studies that traverses an Asian diasporic world stretching from London to Mongolia and deals with topics as diverse as amulets and the internet. This theoretically-informed collection will be welcomed by all those seeking authoritative but student-friendly essays that illuminate the multiple ways in which global interactions continue to influence Asia’s religious beliefs and praxis. 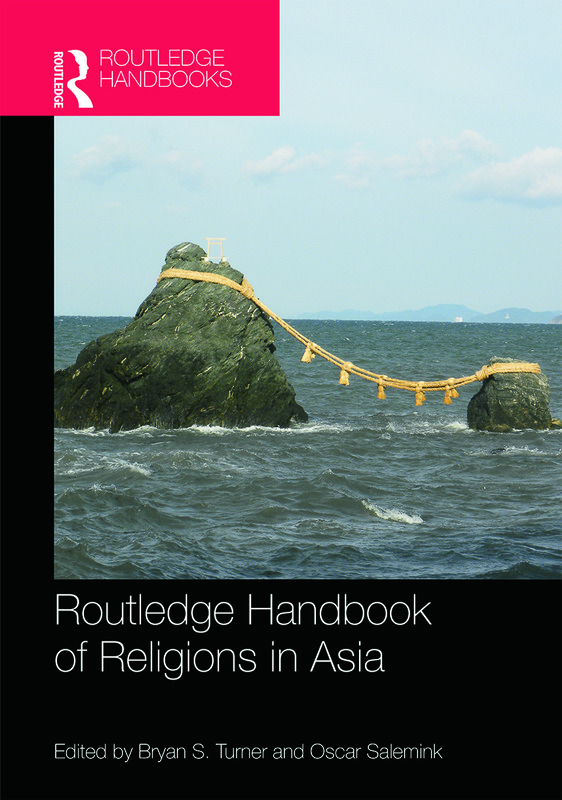 The Routledge Handbook of Religions in Asia boldly challenges, critiques, and expands social scientific theories of religion as it illuminates religious practices and global connections. This handbook’s vast scope makes it a necessary reference for anyone interested in contemporary religion, globalization, and social change in Asia. This brilliant collection is a must-read for anyone interested in the religions of Asia. One of the rare books that offers a truly cosmopolitan dialogue across disciplines and cultures, it pushes the boundaries of contemporary thought on religion. A symphonic account of religions in Asia as they go through profound transformations in our global age, this volume prepares us for a better understanding of the future of religions. Bryan S. Turner is the Presidential Professor of Sociology and the Director of the Committee on Religion at the Graduate Center of the City University of New York and concurrently Professor of the Sociology of Religion at the Australian Catholic University, Melbourne, Australia. He was the research leader on globalization and religion in the Asia Research Institute at the National University of Singapore (2005-9) and the Alona Evans Distinguished Visiting Professor of Sociology at Wellesley College (2009-10). He edited the New Blackwell Companion to the Sociology of Religion (2009) and he is the editor of the Routledge Religion in Contemporary Asia Series. He was awarded a doctorate of letters by the University of Cambridge in 2009. Oscar Salemink is Professor in the Anthropology of Asia at the University of Copenhagen, Denmark. He received his doctoral degree from the University of Amsterdam. His current research concerns religious and ritual practice in everyday life in Vietnam and the East and Southeast Asian region. Recent publications The Ethnography of Vietnam's Central Highlanders (2003); The Development of Religion, the Religion of Development (2004) and A World of Insecurity: Anthropological perspectives on human security (2010).